I haven't spent as much time in Florida as I'd like to, but since so many of the best art shows in the country are held in Florida, I will be fixing this problem over the next several years. 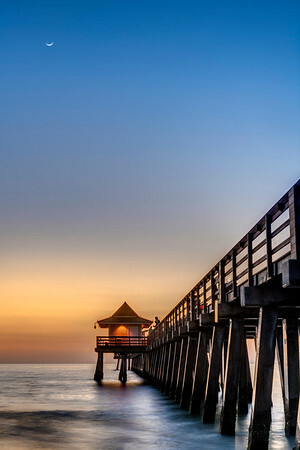 Some of the country's prettiest beaches, as well as abundant wildlife make Florida a great place to take photos! 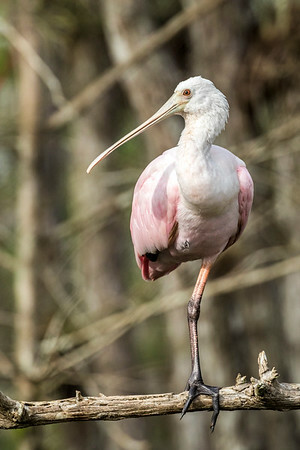 A solitary roseate spoonbill resting in Big Cypress National Reserve, in Southern Florida. Available in the following sizes (Rectangle B): 8x12, 12x18, 16x24, 20x30. Highway 41 is the southernmost road in Florida that connects the East and West coasts. 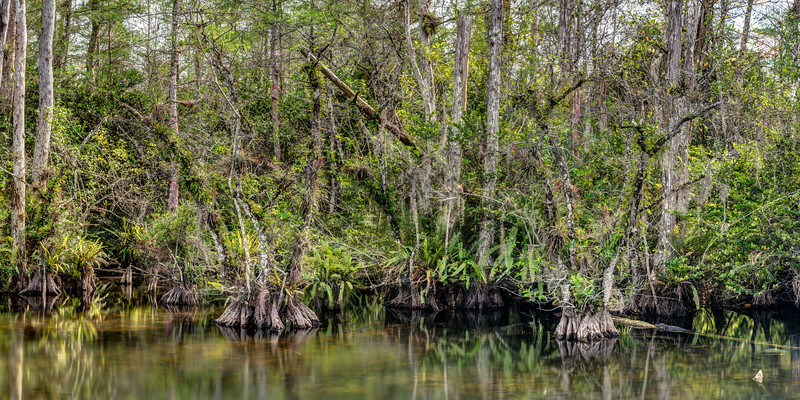 There is a small detour along Highway 41 called “Loop Road Big Cypress National Reserve” that takes drivers off the main road, and through beautiful swamp scenery adjacent to Everglades National Park. I stopped on this road for a few minutes to shoot the cypress swamp, and as I was setting up for this shot, a solitary roseate spoonbill flew in, over my head, and perched on the closest tree. Can you spot him? Available in the following sizes (Rectangle B): 8x12, 12x18, 16x24, 20x30, 24x36, 30x45. 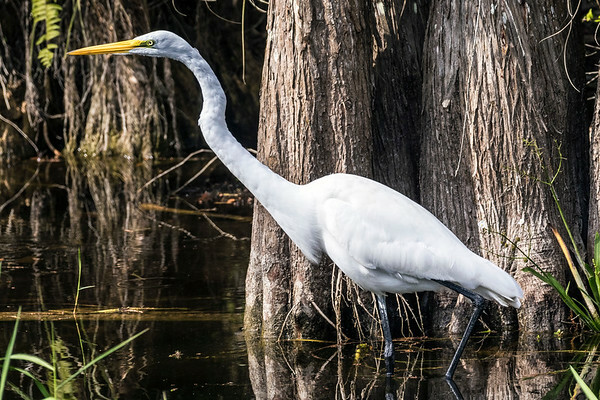 I've taken hundreds of photos of great egrets – they're beautiful birds. But I like the simplicity of this one: the bird fills the frame nicely, and his white feathers contrast beautifully with the nearly-black water. Available in the following sizes (Rectangle B): 12x8, 18x12, 24x16, 30x20, 36x24. Highway 41 is the southernmost road in Florida that connects the East and West coasts. 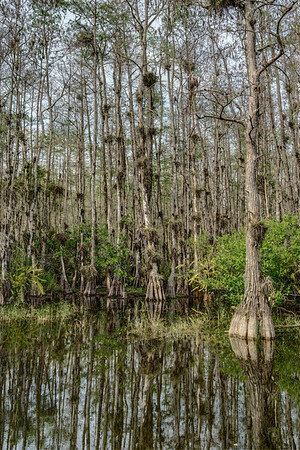 There is a small detour along Highway 41 called “Loop Road Big Cypress National Reserve” that takes drivers off the main road, and through beautiful swamp scenery adjacent to Everglades National Park. It was on this road that I shot this photo of one of many beautiful roadside swamps. Take a closer look in the lower right hand corner to spot a juvenile alligator. Available in the following sizes (Panorama A): 20x10, 24x12, 32x16, 40x20, 48x24, 48x24 Triptych (3 x 16x24), 60x30, 60x30 Triptych (3 x 20x30), 72x36, 72x36 Triptych (3 x 24x36), 80x40, 80x40 Triptych (3 x 27x40), 96x48, 96x48 Triptych (3 x 32x48). This photo makes it difficult to guess the size of this turtle – actually a coastal plain cooter that I spooted at the Shark Valley portion of Southern Florida's Everglades National Park. 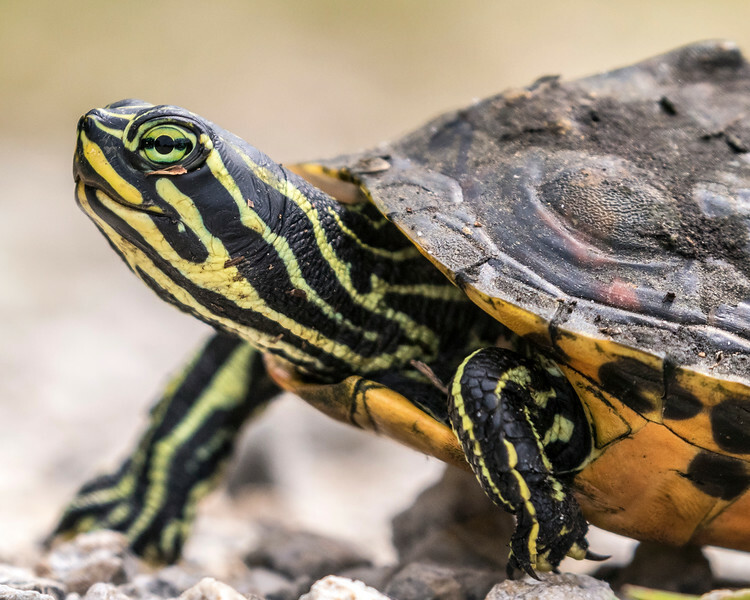 It appears that he could be a full-grown turtle measuring maybe 8 or more inches in diameter. Not the case. He was just a little guy, probably only 3 inches in diameter. I spotted him crossing a road, and managed to get a few shots (and made sure he didn't get run over) before he successfully made it across the road. Available in the following sizes (Rectangle A): 10x8, 14x11, 20x16, 24x20, 30x24. 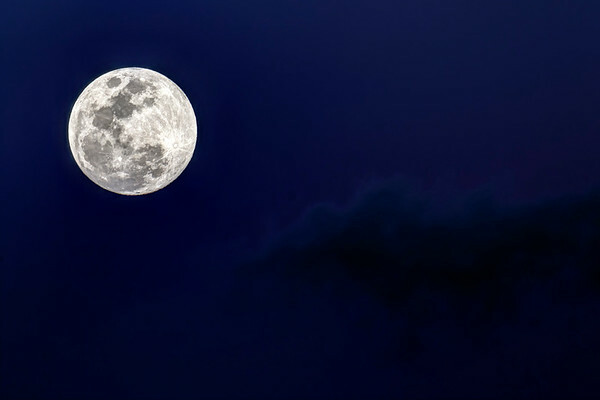 I had hoped to shoot the full moon on the evening of March 11, 2017, just as it rose above the horizon, but cloudy skies dictated that I rethink my plans. Fortunately, an hour or so later, there was still just enough ambient light to allow for a sharp image of the moon but with just a hint of blue sky in the background. Available in the following sizes (Rectangle B): 12x8, 18x12, 24x16, 30x20, 36x24. A panoramic view of the Atlantic Ocean, as seen from Juno Beach, Florida, at sunset, on March 11, 2017. Available in the following sizes (Panorama B): 30x12, 40x16, 50x20, 50x20 Triptych (3 x 17x20), 60x24, 60x24 Triptych (3 x 20x24), 75x30, 75x30 Triptych (3 x 25x30). I wasn't able to shoot the full moon immediately after it rose over the horizon on the evening of March 11, 2017, because clouds obstructed the view. 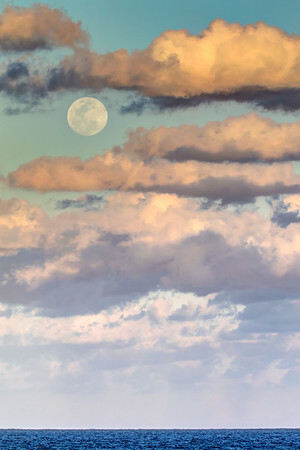 However, fifteen minutes later, the moon found a nice gap in the clouds and made an appearance over the Atlantic Ocean. Available in the following sizes (Rectangle B): 8x12, 12x18, 16x24, 20x30. I visited Naples Pier on February 28, 2017, with the intention of getting some shots of the crescent moon over this beautiful structure. Of all the shots I got that include both the pier and the moon, this one is my favorite. Available in the following sizes (Rectangle B): 8x12, 12x18, 16x24, 20x30, 24x36, 30x45, 40x60, 48x72. 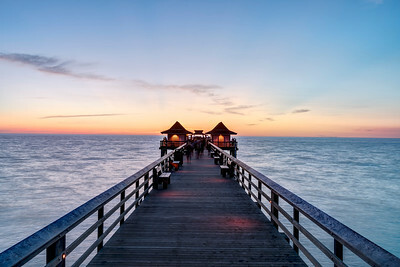 Hundreds of tourists visit Naples Pier and the surrounding beach each and every sunset during tourist season – weather permitting, which it usually is - and applaud as the sun disappears below the horizon. My photography tends to avoid having the center of attention focus on humans, but the silhouette of the kayaker in the lower right really adds something to this photo. Available in the following sizes (Rectangle B): 12x8, 18x12, 24x16, 30x20, 36x24, 45x30, 60x40, 72x48. 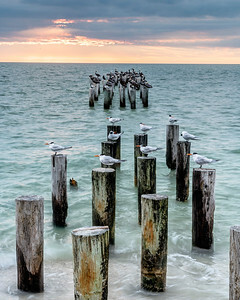 Naples, Florida, has a beautiful beach that is usually crowded with both people and seabirds. I found the remnants of an old pier a few hundred meters from Naples Pier, and it turned out to be a popular spot for a number of the seabirds to rest. Available in the following sizes (Rectangle A): 8x10, 11x14, 16x20, 20x24, 24x30, 30x40, 40x50. 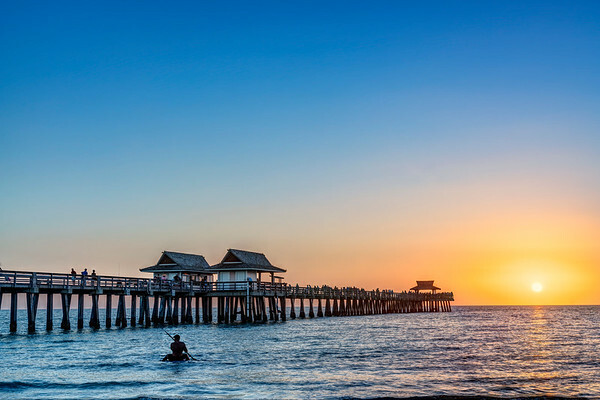 Naples Pier has to be one of the most picturesque piers in all of Florida. I spent many evenings here during the winter of 2017, when I was frequently in the area to appear in art shows. This shot was fairly difficult to get, because the pier was crowded at sunset, so I had to wait for a lull in the crowd, and use a neutral density filter to get a long enough exposure to “erase” the people that walked through my shot. Available in the following sizes (Rectangle B): 12x8, 18x12, 24x16, 30x20, 36x24, 45x30, 60x40, 72x48. I never really thought about how adaptable some species are, until I'd seen them in environments as different from one another as deserts are from swamps. 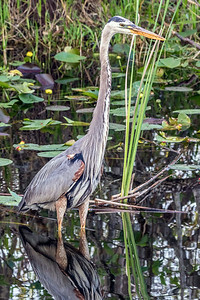 Such is the case of great blue herons, which I've seen in northern Arizona, Africa, and, as seen here, in southern Florida. I took this photo at the Shark Valley portion of Everglades National Park, an excellent place to photograph bird life. Available in the following sizes (Rectangle B): 8x12, 12x18, 16x24, 20x30, 24x36, 30x45. Looe Key, shown here, is named after the HMS Looe, which sank after running aground here in 1744. 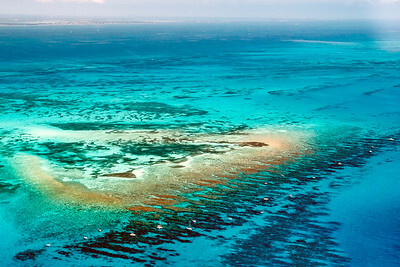 It lies entirely within the Florida Keys National Marine Sanctuary, and remains, for good reason, a popular spot for SCUBA diving and snorkeling. Available in the following sizes (Rectangle B): 12x8, 18x12, 24x16, 30x20, 36x24. 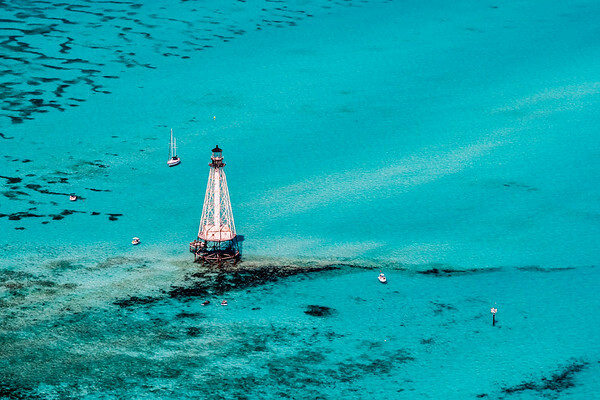 Sombrero and Alligator Reefs, both of which are off the coast of Marathon, are apparently great locations for SCUBA diving, but can be trecherous for boats, which is why each of them has a lighthouse. Alligator Reef Light, shown here, was originally constructed in 1873, automated in 1963, and shut down in 2014. It is to be replaced by a less-powerful light on a much shorter stand. Available in the following sizes (Rectangle B): 12x8, 18x12, 24x16, 30x20, 36x24. I went on a scenic flight in the Florida Keys in February, 2017, and was fortunate enough to have perfect weather for the flight. 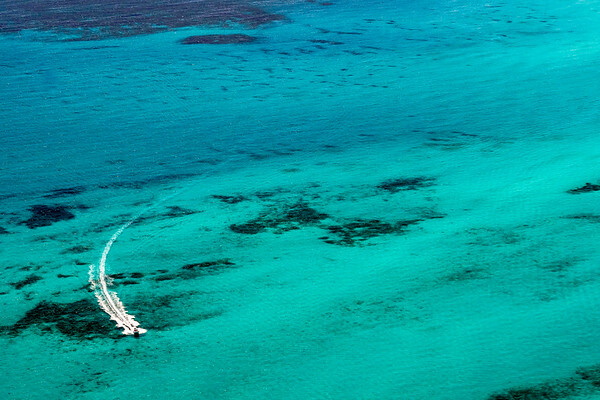 Although there were many boats in the beautiful waters near Marathon (the key from which I took off), this one, and the path it was taking through the blue and turquoise waters below, really caught my eye. Available in the following sizes (Rectangle B): 12x8, 18x12, 24x16, 30x20, 36x24. Beautiful sunsets are far from rare in the Florida Keys. 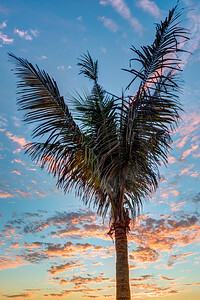 I was lucky enough to experience one in early February, 2017, when I took this photo of a beautiful sky and the upper portion of a palm tree. Available in the following sizes (Rectangle B): 8x12, 12x18, 16x24, 20x30, 24x36, 30x45. I took this photo during a stop in Everglades National Parks in between art shows in Florida, in February, 2017. The scenery in this National Park isn't as epic in scale as the National Parks I shoot further west, but it is beautiful nonetheless, especially at sunrise and sunset. Although at this particular National Park, I prefer sunrise to sunset for photography, I managed to get this shot shortly after the sun set, and I'm quite happy with the result. Available in the following sizes (Panorama C): 30x10, 36x12, 48x16, 48x16 Triptych (3 x 16x16), 60x20, 60x20 Triptych (3 x 20x20), 72x24, 72x24 Triptych (3 x 24x24), 90x30, 90x30 Triptych (3 x 30x30). 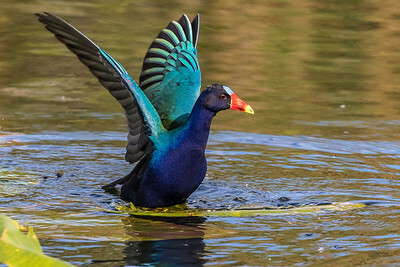 Purple Gallinules are, as one might guess by observing their ridiculously bright plumage, not particularly common in the United States. They live in Central and Northern South America, but some live as far north as Southern Florida, such as in the Everglades, where I was lucky enough to spot this one. Available in the following sizes (Rectangle B): 12x8, 18x12, 24x16, 30x20, 36x24. This photo makes it difficult to guess the size of this turtle – actually a coastal plain cooter that I spooted at the Shark Valley portion of Southern Florida's Everglades National Park. It appears that he could be a full-grown turtle measuring maybe 8 or more inches in diameter. Not the case. He was just a little guy, probably only 3 inches in diameter. I spotted him crossing a road, and managed to get a few shots (and made sure he didn't get run over) before he successfully made it across the road. Available in the following sizes (Rectangle A): 10x8, 14x11, 20x16, 24x20, 30x24.